In our previous blog posts, we talked about the importance of having a well thought out strategy, focusing on the right products and services to deliver that strategy, and a marketing and sales program to generate interest and sales. In this article we’ll discuss the next phase, delivering those products in an efficient and effective way – via your business process and operations. Is there more than one person performing the same task in your business? If yes, is that process documented and are the staff performing the task consistently, with the same quality? Are people following documented procedures, or are they “going by memory”? Do you know each step in your production process, and which are the bottlenecks? Do you know which of your products have the highest / lowest margins? Depending on the size of your business, you may know the answers to these questions intuitively or have reports and hard data showing the answers. If you don’t know the answers, you should start increasing your awareness of what’s going on in your business and begin by mapping out your processes. By collecting this information via process mapping, you will gain an understanding of what is happening in your business without having to rely on memory. 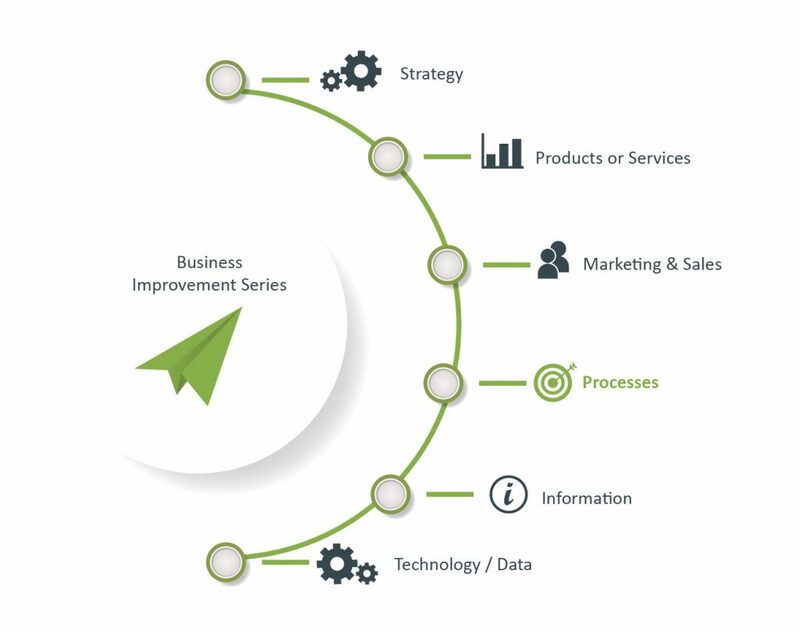 If you require assistance with any of these steps, give our Business Improvement team a call, and we would be happy to discuss solutions. We are experts at this, can determine the best solution for your unique situation. Our team works tirelessly on process mapping, analysis and improvements. Of course, analysis can’t be done without the access to information, and it must be acquired and observed correctly.